Before you can apply for an Amazon Affiliate account, you will need a website to use. You will not be able to your your store as you need your Affiliate account before being able to populate your store, so the easiest way around this is to us e a simple blog. 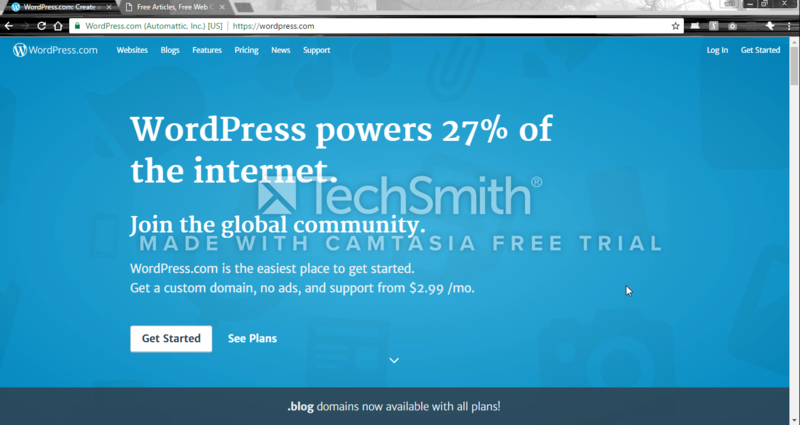 First of all, head over to https://WordPress.com and click “Get Started” in the top right hand corner. Now as this website is only going to be used when applying for an Amazon Affiliate account, the details aren’t too important, however we will go over it. First of all, select a layout – I select the first option, “A list of my recent posts”. Next choose a theme – again this isn’t really that important unless you plan on using your site, so just select the first theme. 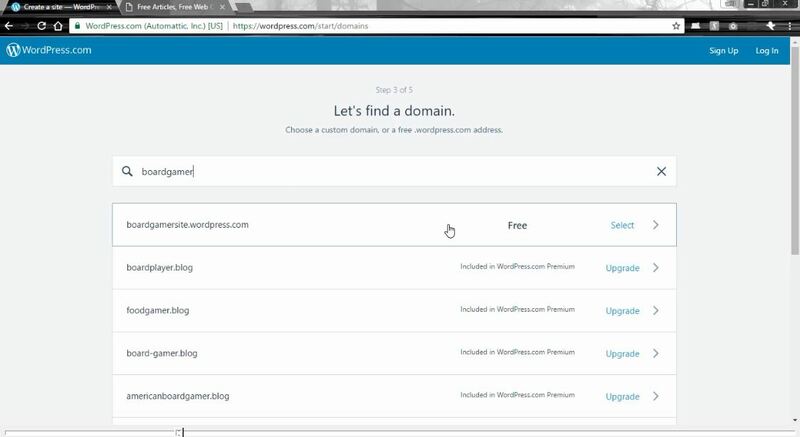 On the next page you will need to enter a keyword that describes your site – this will be used for the URL of your site so it is important that it is relevant. Type the word and press enter, then some suggestions will appear – you want to select the top one as this is free, however if you are unhappy with it you can always change the keyword to something else and press enter for a new list. Once you are happy with the domain, click Select. Now we need to select the plan we are going to use, of course this is going to be the first plan, the free one. You must now create an account by entering your email address, a username and choosing a password. Then click “Create my account”. You now need to sign in to your email to verify your account. 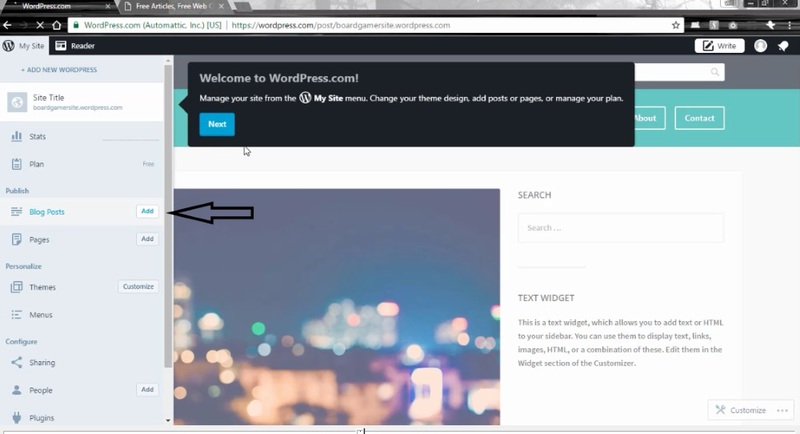 Clicking the verify link will take you to your admin area of WordPress. Once here, you can click the link on the left hand side to create a new post. Now to add a post, we need something to write about. 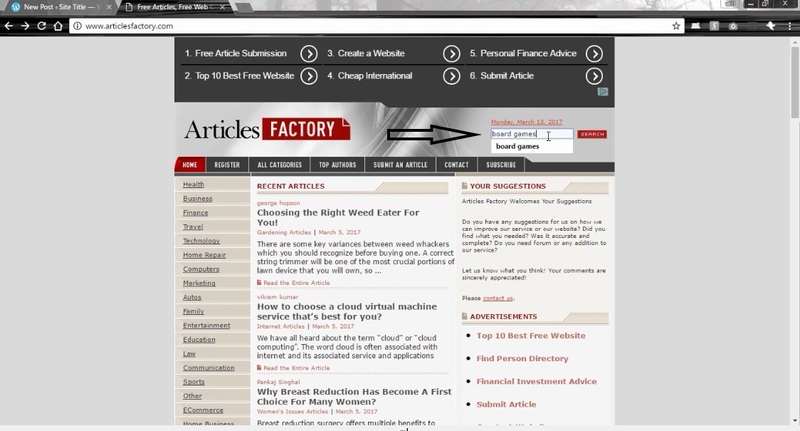 If you have any content you can use, great, if not, you can go to http://articlesfactory.com and find an article to use. Simply search for an article that relates to your blog. I will search for Board Game articles for my board gaming blog. Next, click on the article you wish to use, and when it loads, copy the content to your clipboard. Now, go back to your blog, click on the box below the Title box, and paste your content in there. You also need to copy/paste or type the Title of the article. 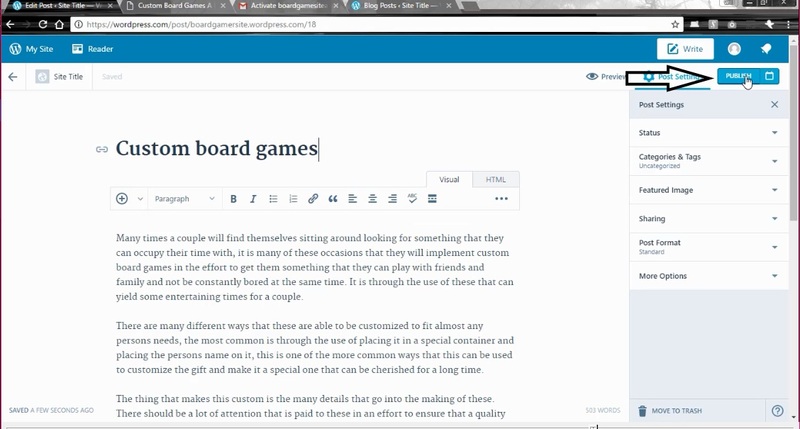 You can now publish your article by clicking the publish button in the top right hand corner. If this is not enabled, it is probably because your account has not been verified – you need to click the link in the verification email before you can publish any posts. You have now published your first blog – now you can either add a few more articles using the above process, or use now use this website to apply for your Amazon Affiliate account.